Hey Neighbors... What's happening this week besides the BIG Game? 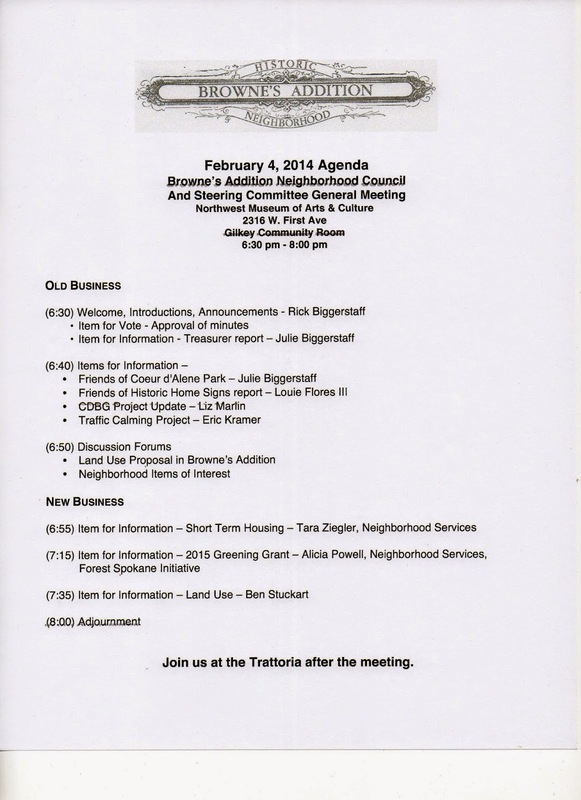 Your Neighborhood Council will be meeting this Wednesday evening that's what. We are going to be taking another look at the Historic Signs in the neighborhood, we'll have an update from Liz Marlin on the CDBG funded project that she has championed, our new Vice-Chair is going to give up the info on the Traffic Calming Project, and City Reps will fill us in on items like Short term Housing, Land use, and the 2015 Greening Grant. I'll not be joining you this month, but Amanda Hamilton will greet you at the door on Wednesday evening, February 4, 2015 at the Museum of Arts and Culture. Be there at 6:30 pm, or you will be late!